The Rocks Glass is known by several names - depending on where you are in the country and in which Cocktail lounge you are in. 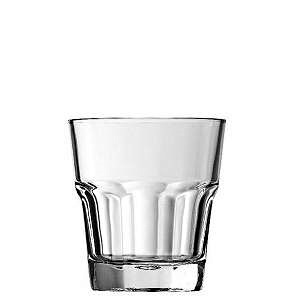 It can be referred to as "An Old Fashioned", a "Tumbler", a "Whiskey" glass or even a "Low Ball" glass. This is a small glass with usually two or three ingredients only. So called 'rocks' as they drink in this glass will contain invariably 'ice cubes'. Small drinks usually (but not always) mixed in the glass.